My name is Tony and I am new here, can anyone help me? I was parked up outside my home and found that some one had annoyingly gone down the side of my car scraping it and took out the side marker indicator. I have a replacement but need to know how to remove the old one and replace it with the new, the indicator is situated above the vent on the wing, I can get it partially out but don't want to force it in case I cause more damage. My Car is a 2006 4.2L V8 XK. Hope you can help, thanks in advance. On 2013 Vert I popped out the U S side markers with a putty knife (very carefully) so as not to damage the finish and plugged in European side markers by apply pressure and pounding softly with my fist. took about ten minutes maybe less. Thanks for the reply Ralphwg, the Side markers on my car are set in as part of the side vent on the wing, its kind of set in to the top of the vent, its not the oval shaped marker indicator that's set into the wing like on the older model. sliding the lamp assembly rearwards and releasing the front edge from the fender. This is from the workshop manual. In reading it, it seems off, as I thought you slid it forward, and lifted the rear portion. Regardless, you press it on one direction to release it. Last edited by CleverName; 04-15-2019 at 07:50 AM. About 1.5 years ago, mine decided to break and come out by itself. Here's a photo, you can see the clip. Aonsaithya that's exactly what I was looking for, thankyou for the picture, now I have an idea of how it fits and clips in. Lots of thanks, I really appreciated all the help from everyone. 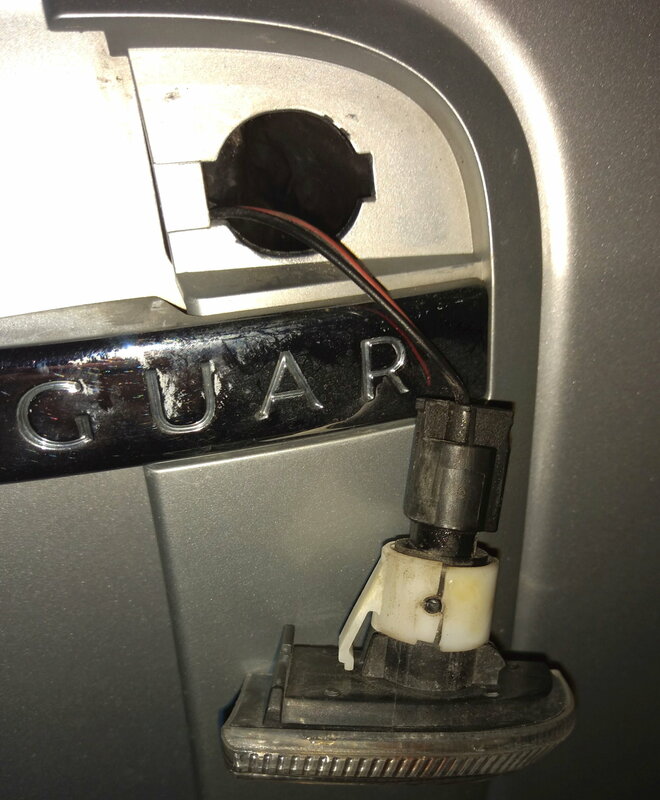 95 XJ6 L. Frt Turn Indicator not functioning, side marker is fine. Clear Turn Signal / Indicator And Side Marker Lenses. Anyone Interested? Anyone have experience connecting Autel MaxiDAS808 to their X150's? ?